Photos of Union Pacific trains in Weber and Echo canyons in the pioneer era, the steam era, and the diesel era. A detail image of the tunnel and original wye at Wahsatch. 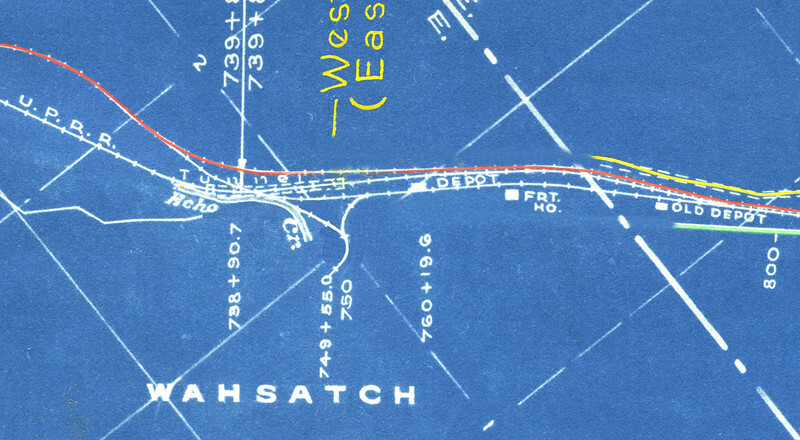 Edited from a 1930 Utah Highway Department drawing for changes to the state road crossing in the same vicinity.